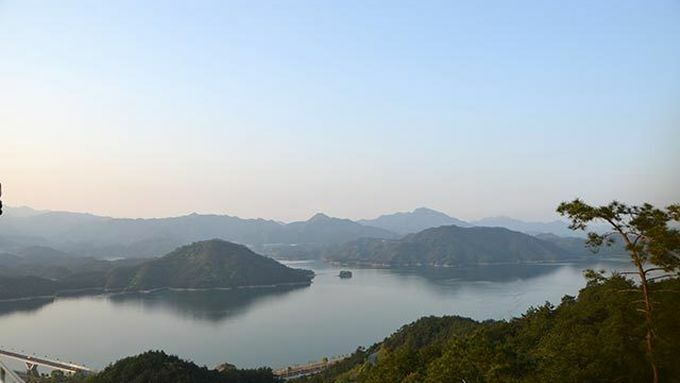 Qiandao Lake supplies drinking water to approximately 10 million people across Zhejiang Province, but the quality of this critical water supply is at risk from land degradation, excessive fertilizer and pesticide use, and livestock waste. To reduce these threats, the Conservancy launched a water fund with the Alibaba Foundation, Minsheng Insurance Foundation and Wanxiang Trust. In 2018, we began working with local farmers to implement organic, high-end tea and high-yield ricepaddy agriculture. The latter is a cutting-edge effort that uses technology – drones, artificial intelligence and cloud data storage – to improve the accuracy and reduce the dosage of fertilizer applications, thereby reducing production costs while increasing yields and farmers’ incomes. Other nature-based solutions such as ecological ditches have also been established to test whether they provide a cost-effective solution to reduce nonpoint source pollution. Water education programs have been deployed to teach students and younger generations about the importance of source water and contributing to its protection. The Qiandao Lake Water Fund will improve 15,000 livelihoods while reducing fertilizer and pesticide use across 30,000 acres. Leveraging strategies from the world of high finance, The Nature Conservancy, along with the Alibaba Foundation, Minsheng Insurance Foundation, and Wanxiang Trust have launched the Qiandao Lake Water Fund to help secure clean drinking water for approximately 10 million people in cities and towns throughout Zhejiang Province, China. Access this article to learn more.